Bobby Van’s Steakhouse is expanding into a new location at casual dining restaurant Lea Wine Bar which sits next door to “The Original” location on 230 Park Avenue in New York City. Guests will find the same Bobby Van’s charm at Lea which is now open for lunch and offers a delectable steakhouse menu crafted by 40-year veteran Executive Chef Victor Chavez of the iconic Smith & Wollensky Steakhouse. Stretching its arms, Bobby Van’s new developments also include new partner Executive Chef Bobby Dickert, the great-nephew of steak chef legend Peter Luger, and 40-year veteran steak chef, and managing partner at The Smith & Wollensky Restaurant Group, Inc., Tommy Hart. These announcements come on the heels of “The Original” Bobby Van’s Steakhouse now being independently owned and operated. Lea Wine Bar, a charming but impressively upscale little sister restaurant to the renowned restaurant chain is now open next door to “The Original” Bobby Van’s location at 230 Park Avenue. Executive Chef Victor Chavez brings his 40 years of skilled culinary expertise to offer casual but subtle twists to the Bobby Van’s classic lunch menu that diners know and love. Lea is the perfect NYC destination offering guests an extensive menu of tapas and sushi, a signature selection of fine wines plus happy hour cocktails, and now includes an appetizing lunch menu, literally, taking a page from the Bobby Van’s menu. 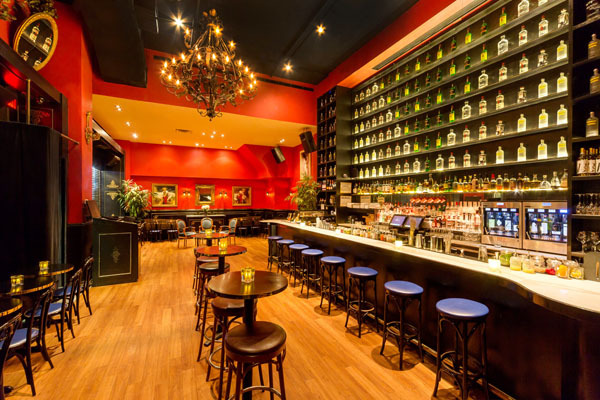 The ambiance at Lea Wine Bar beautifully blends influences from both French and Italian cultures. Tall, bold red walls, accentuated by a yellow-gold ceiling, and decorated with artistic reproductions of Italian Neo-Romantic paintings and gold gilt framing, provide a luxurious backdrop to the dining experience. Additionally, blue leather seats, satin arm chairs and black plush velvet couches are coordinated throughout the restaurant creating little nooks for each diner to feel like they are in a world of their own. A grand, floor-to-ceiling “Metropolis” bar gives the casual dining restaurant an air of magnificence making Lea a classier alternative to New York City’s downtown mega-club and bar scene. Executive Chef Bobby Dickert has been a part of the Bobby Van’s family for over 20 years and now joins Ricky Passarelli as co-owner of the 230 Park Avenue location. As one of the last Luger family members to work at the historic Peter Luger Restaurant, Dickert has emulated, in his work, the wealth of knowledge passed down from generation to generation. Bobby’s old-world experience is demonstrated in his expertise for selecting and dry-aging the Bobby Van’s superior selection of prime beef. He acquired these skills and knowledge of the steak business working alongside his father Carl Dickert, who worked at the Luger family restaurant for 53 years. New partner and Executive Chef Bobby Dickert will continue to bring his masterful craftsmanship and culinary business savvy to “The Original” Bobby Van’s Steakhouse. In addition, bringing his superior taste and masterful craftsmanship to an already perfected selection of menu options, is 40-year steak veteran Tommy Hart. This just so happens to be a full circle moment for great friends Ricky Pasarelli and Tommy Hart, who met as young men in the 1970’s working at Smith & Wollensky. The two friends have seen great success in the culinary business; owner Pasarelli of Bobby’s Vans Steakhouse and Tommy Hart – rising to the top of the The Smith & Wollensky Restaurant Group, Inc. chain. With all-new developments, Bobby Van’s Steakhouse “The Original” remains an unprecedented contender in the New York City restaurant scene. Frequent diners and newcomers alike can expect the same flavor-filled USDA prime quality beef, aged to perfection, which is now served at the beautiful restaurant-front, Lea Wine Bar, and by the best of the best Executive Chefs Victor Chavez and Bobby Dickert plus steak veteran Tommy Hart. 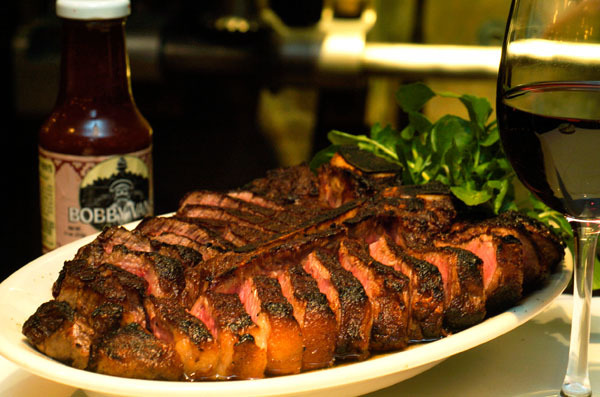 Consistent with its reputation, Bobby Van’s Steakhouse is “The Original” restaurant for expertly prepared steaks, an elegant ambiance and impeccable service.